*Ingredients proceeding from organic agriculture. 100% of the total amount of the ingredients are derived from organic agriculture. Control and certification agency: Committee Of Ecological Agriculture CCPAE. The organic sweet almond oil, obtained by pressing the almonds cold, is rich in essential fat acids : omega 9 or oleic acid (62 - 86%), omega 6 or linoleic acid (20 - 30 %) and omega 3 or linolenic acid (0.5%). It also contains vitamins A and B and, above all, vitamin E or antioxydant, our main ally in fighting against skin aging. 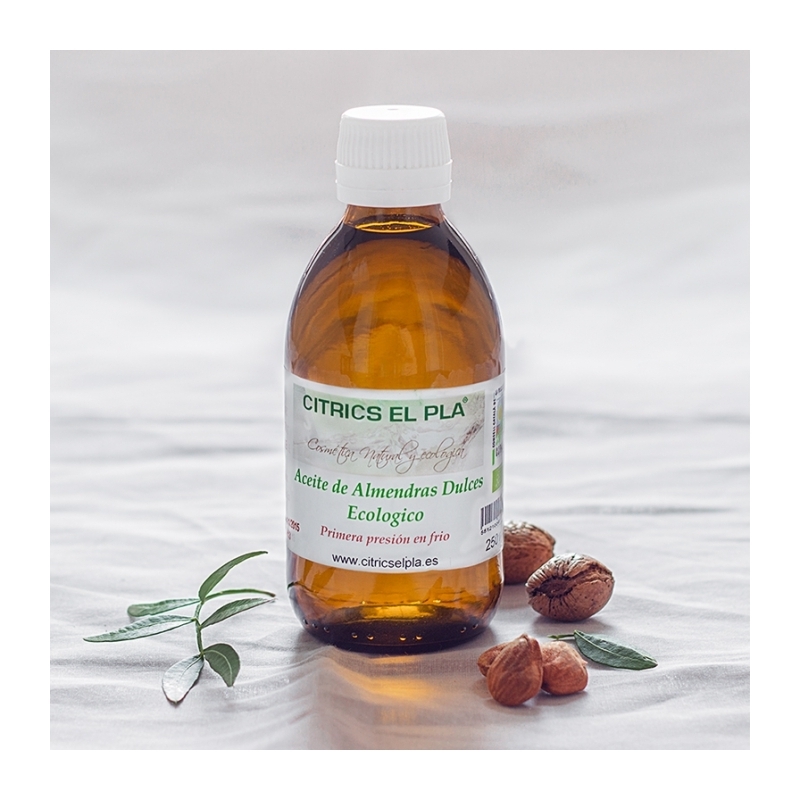 The sweet almond oil is one of the best cosmetic vegetal oil for any kind of skin including irritated and sensitive ones. Due to its active quality, it smoothes, hydrates and nutures the skin from deep inside. It delays the appearance of wrinkles and lines. Calming and relaxing, it is used in aromatherapy as a base oil. Nutritive, smoothing oil for relaxing after the bath. It can be applied by a gentle massaging movement. Aromatherapy. base oil used to dilute other essential oils. Oil for softening your hair and making it shine. This oil is also ideal for delicate and sensitive baby skin thanks to its light and slightly calming effect.